Right To Play is a global organization committed to improving the lives of children and youth affected by conflict, disease and poverty. 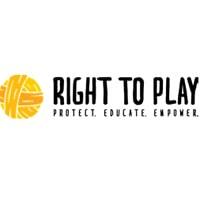 Established in 2000, Right To Play has pioneered a unique play-based approach to learning and development which focuses on quality education, life skills, health, gender equality, child protection and building peaceful communities. With programming in over 20 countries, Right To Play transforms the lives of more than one million children each week using play and sports, both inside and outside of the classroom. In addition to our work with children, Right To Play advocates with parents, local communities, and governments to advance the fundamental rights of all children. • Contributes to the formulation of the project strategic plans feeding into the overall country strategic plan. Prepares and leads the implementation plan of project activities. • Guides Field Facilitators on executing the activities. • Ensures that activities are compliant with RTP methodology and standards. • Develops and strengthens understanding of our project management cycle with project staff and partners. • Conducts performance appraisals for all direct reports and provides regular feedback on performance. 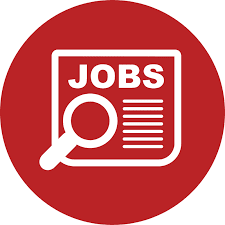 • Oversees performance of any contract staff such as security guards where applicable. • Ensures staff understands and complies with policies of RTP. • Assesses training needs of all direct reports with input from project staff, partners and stakeholders. • Oversees training of coaches delivered by Field Facilitators and observes coaches’ performance for certification. • Visits project locations to oversee activities, events and collects information to report on performance outcomes. • Works with school directors and teachers to develop their understanding of RTP’s monitoring and evaluation system as it relates to reporting on children and teachers actively involved in sport and play activities. • Ensures accurate collection and timely submission of quantitative and quantitative monitoring information according to RTP monitoring tools. • Submits regularly reports to PM/PO and occasionally external stakeholders including Ministries, partners and donors. • Provides quarterly updates of lessons learned and best practices to project team, stakeholders and the Program Manager.